A dynamic seminar on total preparation for contact in confrontations. Absolutely unique warm-ups and breath training, work with endurance, evasions and interceptions, subtle punches, punches from the ground, defense and offense through tension, drills of taking tension out of the body and empowering every movement with effortless control. Enjoy a perfect series of Systema exercises focused on developing flawless movement & striking abilities, dissipating soreness, stretching through the threshold of pain, gaining understanding of what "relaxed" really means, knocking out fear and achieving internal strength. Includes astounding demonstrations of knife defense and multiple opponents; beyond what you would think possible. Connect the psychology of fighting with body control, strikes and movement. Systema helps a practitioner to work both brain hemispheres more appropriately and efficiently, the result is higher functioning. I always knew there were simple ways to have this kind of controll and technique, but good luck finding a school for it in the phone book. I have been sifting through literaly dozens of styles of MMA and pure taditional arts for 11+ years! I had a great instructor in Goju Karate and after I got my black belt I was 18 and had to take time out to work. Then I joined the Army at 20 and could never get back to his class. I have been through school after school since looking for a true combative art and had nearly given up hope. I hate to break it to you if you think your American Kempo or Shaolin school has prepared you for real fighting than chances are it hasn't come friggan close. I'm not talking down about all those schools, but the vast majority of any school in America is teaching you basic body movements for striking and grappling, but not to actually fight. I have been in enough fights and classes to walk in to a Shoalin Kung Fu school and beat every student in the place including the asistant instructor and it is not the arts fault, but rather the way they train does not include the simplicity of taking reflexes from the forms and puting it in to a sparring drill. This guy has done just that and achieved a level of controll that rivals Taiji and Bagua masters with decades of training! Bottom line: I know a real fighting art when I see it and I knew this was a good one from the start. In fact it is far better than I originally expected. This is one of a kind item – complete & nearly unedited footage of the Vladimir’s seminar. Majority of participants were experienced practitioners & did not require entertaining demonstration but benefited from experiencing applicability of the core principles. Absolutely flawless logical flow of presented material, seamless connection of basic concepts with crushing efficiency, enormous volume of easily digestible information, stunning mix of humorous atmosphere & large doses of rejuvenating pain. Those who need a serious look into Systema’s training methods, core principles & brutal applicability will appreciate this film greatly. As a Filipino martial artist for the past 25 years, I get puzzled how Vladimir easily and flawlessly gets out of a tight situation. Everything flows smooth and controlled before the enemy lays down his weapons on you! One of my all time favorite DVD's--an instant classic. I love to watch seminar footage of Vladimir, because his warmth, charm and humor really come through far more fully and through that, his interpersonal work really shows the family spirit and unity that Systema builds among its practitioners. I've already watched this a number of times with students and non-martial artists alike and everyone is impressed for a dozen different reasons. This is absolutely a natural sequel to Vladimir's Hand-to-Hand DVD but much more profound. The beginning warm-up alone is enough to keep practitioners busy for months even without a formal school in their area. The strike work is completely de-mystified and taught in such a clear and logical format that I think this will really reveal an entirely new level of work to newer students and as for the more experienced--well, let's just say the ease with which Vladimir does everything is awe-inspiring and humbling. A really essential DVD. A must have. 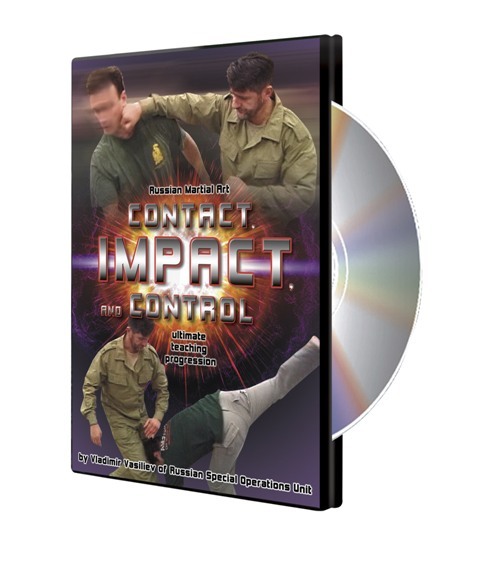 I look forward to seeing the growth and understanding that this DVD alone will spread throughout the Systema community. Though I attended this seminar which many affectionately call Vladimir's most brutal seminar, I'm grateful it's released on DVD. This DVD serves as an essential reference demonstrating ingenious drills and mind & body preparation to commence "brutal" work. The unique sparring drills and new breath work alone are worth the price of admission. 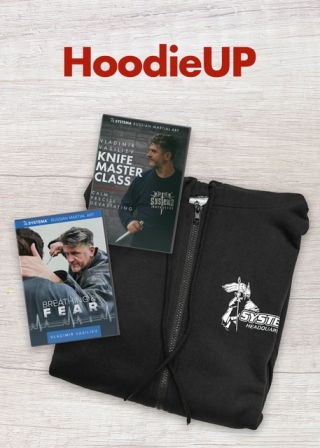 Sprinkle in how to punch and evade from every conceivable position, rapid tension destruction punches, knife and multiple attacker work and this is a must have for any Systema library. This will become a classic along with the Let Every Breath and Systema H2H DVDs. The video is seminar footage, but well produced. The video starts off with breathing and control of tension/relaxation throughout the body. Included are some new aspects of breathing exercises, opening up a lot of new territory in that area, such as relaxation/tension waves originating from more than one point at the same time. Also included are drills involving moving through tension and interacting with tension (yours and others). 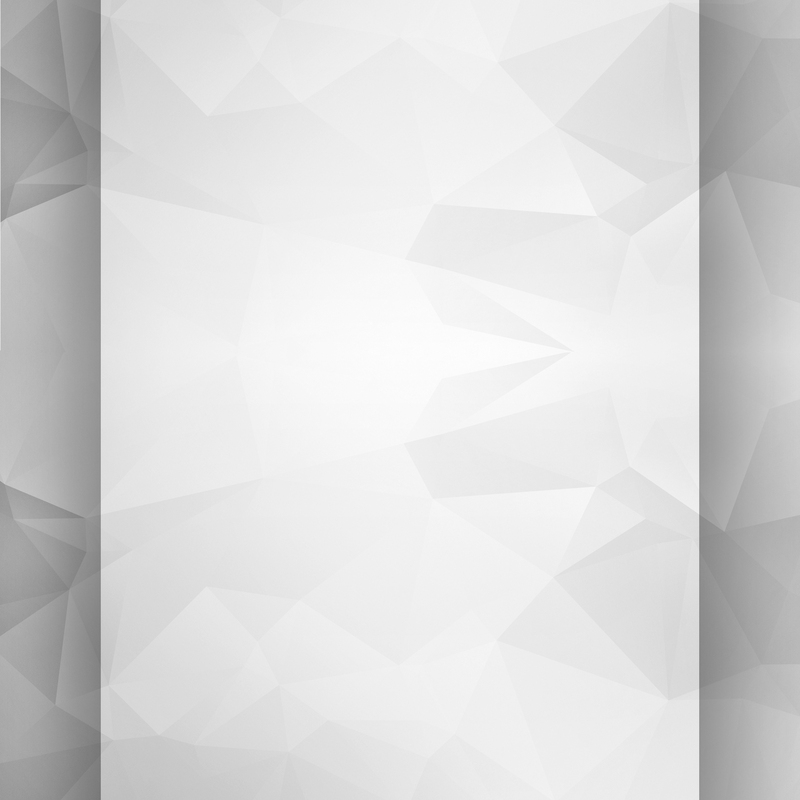 Also served up are some insights into tactical striking, going beyond attributes-driven striking (best athlete wins) and exploring what one might call less visible or less telegraphed strikes, baiting, feeling openings, angles of delivery, attacks hidden in defense, transmitting strikes back at someone and more. As per usual with Vladimir, these discussions are also reinforced with concurrent demonstrations (in a spontaneous, lively manner) and supporting drills. Blow absorption (methods and emotional aspects) and avoidance are also discussed, including to the head, and as well multiple opponents and knife defense are also covered. One can see how this is all related. You can see Vlad using the things he talks about in one part of the video in other contexts, so it is apparent to me that what is being given here is how he ‘does it’. If you want to understand how Vlad moves, this information and these drills will offer significant help. Also noteworthy are the production values, very good, especially for seminar footage. The camera work is professional and the slow motion replays are unobtrusive and instructive, some with Easter eggs (for me anyway). The demonstration partners gave an honest effort, and were certainly encouraged to. Throughout was Vasiliev’s humor, literally a laugh a minute. He used his jokes almost as punctuation. Many who attended Vladimir’s Colorado seminar this year reported it was outstanding and covered much new material they had never seen. Luckily for myself and others who were not able to attend, this DVD covers many important concepts and drills from the Colorado seminar. The DVD starts with warmup exercises to control tension in the body, combined with systema breathing. Next Vladimir shows drills that prepare the body and face for contact. Step-by-step Vladimir then covers the mechanics of striking with movement, progressing to free-form striking at faster speeds. Overall, a terrific and much-needed DVD which bridges the gap from static striking drills to sparring.